Pictured: Thiriet Grand’ Saveurs Poire Caramel au Beurre Salé is a recently introduced packaged ice cream in France. Brown flavors continue to evolve in the ice cream category, with caramel’s new best friends being the apple, the banana, the pear and the pineapple. Think of classic desserts involving butter and brown sugar. Now think of the fruits in those desserts and why they partner so well with caramel…caramel with spice, with heat, with a twist. I’m not talking the overtly sweet candied apple or banana taffy flavor profiles. Think more burnt, cooked or grilled flavors. 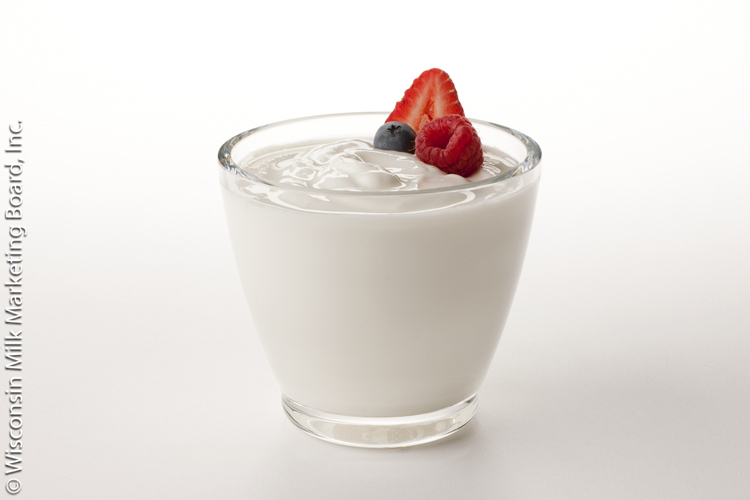 To read more about formulating dairy foods with fruits, nuts and seeds, link HERE to a recent article I wrote for Food Business News on the topic. Let’s start with banana, which is technically a brown flavor. Though yellow at the beginning, when they are fully to over-ripened, they go brown, and that is the banana flavor most consumers recognize in recipes. Think Banana Cream Pie. Think Banana Pudding. Think Bananas Foster, which is a “flaming” dessert made with bananas and vanilla ice cream topped with a caramel-style sauce made from butter, brown sugar, cinnamon, dark rum and banana liqueur. The alcohol gets added right before serving and is ignited. 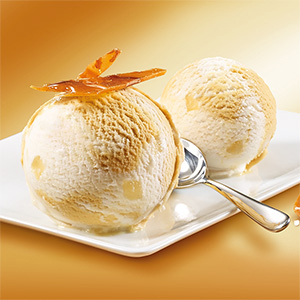 Imagine an ice cream with real banana puree and crunchy brown sugared shell inclusions that explode with caramel sauce. 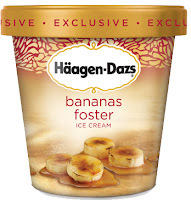 Häagen-Dazs offered a Bananas Foster product exclusive to 7-Eleven stores. 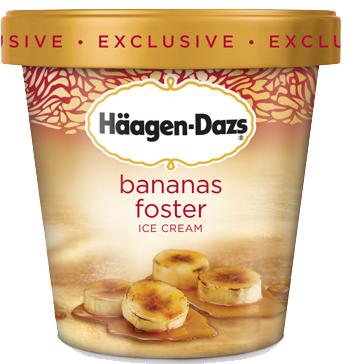 According to the company, the ice cream captures all of the flavors of classic bananas foster dessert in one distinctly delicious ice cream. It contains hints of cinnamon and nutmeg with lingering notes of caramel and brown sugar that enhance the banana-flavored ice cream. This past year, 7-Eleven rolled out a private-label line of ice cream pints under the 7-Select GO!Yum brand. The line includes Banana Cream Pie, which is described as being made with real bananas, pie crust pieces and fresh milk and cream. Häagen-Dazs is right on track with reaching out to the Millennials with its Artisan Collection ice cream line. The brand teamed up with small confection makers from around the country to craft six gourmet flavors, including Banana Rum Jam. 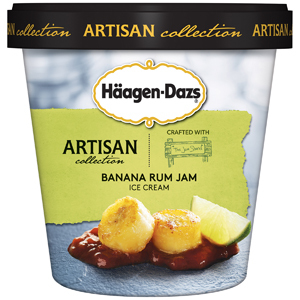 Inspired by Drunken Monkey jam from The Jam Stand in Brooklyn, this uniquely flavored recipe combines banana, caramelized rum and lime into smooth vanilla bean ice cream. Arctic Zero offers Banana Pudding in its Chunky Pints line. This banana pudding-flavored ice cream is loaded with vanilla wafer crumble, without all the fat and calories. 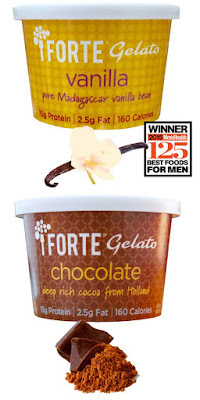 Each pint contains 12 grams of both protein and fiber with only 300 calories per pint. For the past year, two-time James Beard Award-winning chef and author Nancy Silverton has been offering premium artisanal gelati and sorbetti. Created from recipes inspired by the well-loved desserts served at her acclaimed restaurants, Nancy’s Fancy is the chef’s first-ever product line in her distinguished career. Being the baking goddess that she is, Nancy knows the secret to transforming the humble banana into something magnificent. That would be Roasted Banana with Bourbon & Pecan Praline Gelato. By roasting the bananas for this gelato, Nancy gently coaxes out all of the caramel goodness from this wholesome fruit. And as a grown up, Nancy also knows that the secret to almost everything else is bourbon. What better pairing could there be for this banana-y, bourbon-y deliciousness than southern-style pecan pralines? 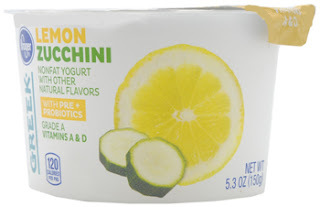 The flavor of this gelato knocks the socks off of adults, but is subtle enough to also be a favorite of the under-21 crowd and teetotalers alike, according to the company. 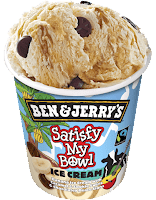 Ben & Jerry’s is being petitioned in the U.S. to bring Satisfy My Bowl (banana ice cream, caramel, cookie swirls and chocolate peace signs), to bring it to America. It debuted in 2014 in the U.K., the Netherlands, Ireland, Denmark, Finland, Sweden and Norway, to celebrate the 30th Anniversary of Bob Marley’s Legend album. Since, it’s rolled out to other countries, but not the U.S. Hopefully the time is now right. The banana ice cream is 9% caramel, 6% cookie swirls and 4% chocolatey peace signs. In Brooklyn, N.Y., Lotus Scoop loves working bananas into its artisan ice creams. 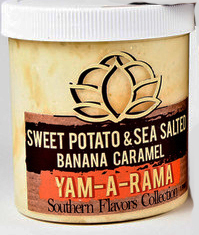 Yam-A-Rama is said to taste like a frozen sweet potato pie. It is one of the company’s most popular ice cream flavors. It is a buttery mash of baked sweet potatoes and cinnamon, frozen into Hudson Valley Fresh’s all-natural ice cream base. Generous amounts of homemade banana caramel are swirled in, which has a hint of Himalayan pink salt. The company also developed Meet Your Matcha. 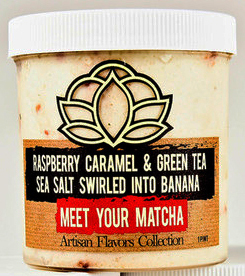 To create this ice cream variety the company smooshed, whipped and then folded fresh organic bananas into its custom ice cream base. (It does not need to be that difficult. Try banana puree.) When the mix gets thick and frozen, matcha green tea-infused sea salt is swirled in along with raspberry marmalade. After banana, there’s the pineapple. 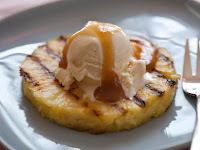 How do you turn this Food Network recipe— Grilled Pineapple with Vanilla Ice Cream--from Ellie Krieger into an all-inclusive dessert, char marks and all? There are so many potential twists to this recipe, flavor spins that will get Millennials’ interested. Think caramel variegate infused with chipotle or grilled pineapple pieces seasoned with cardamom. After all, grilled pineapple has become a mainstay for mixologists shaking up top-shelf cocktails for spirits-centric Millennials. 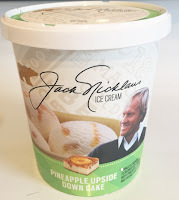 How about mixing caramelized pineapple pieces, vanilla cake cubes and buttered caramel variegate into vanilla ice cream for a scoop of Pineapple Upside Down Cake? Schwan’s recently added a Pineapple Upside Down Cake offering to its Jack Nicklaus Ice Cream line. Its recipe is vanilla caramel-flavored ice cream with pineapple ripple and pound cake pieces. What about pears? I know many of us don’t think of pears and ice cream. But they are a great combo with huge potential. 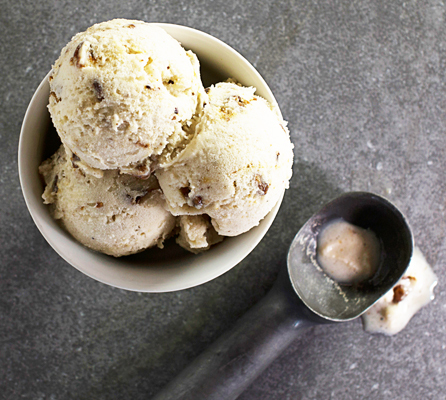 Think roasted brown sugar-coated pear pieces in bourbon vanilla ice cream. Caramelized pear frozen dessert resonates with the French. Unilever offers Carte d’Or Tradition Caramel à la Fleur de Sel Vanille Poire, which is vanilla ice cream, caramel ice cream with sea salt and milk caramel pieces, pear sorbet and cocoa sauce. Glaces Thiriet recently introduced Thiriet Grand’ Saveurs Poire Caramel au Beurre Salé, which is pear sorbet and salted butter caramel ice cream. The frozen dessert contains real, identifiable pear pieces. Ice cream season is summertime. In the U.S., that means baseball, hot dogs and apple pie. And apple pie and its many variants all go so much better with a touch of caramel. Talenti knows that! 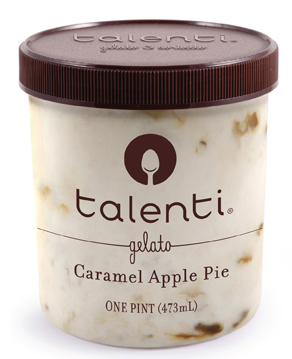 Talenti Caramel Apple Pie is made with real cinnamon sticks, pieces of Red Delicious apples, sweet flaky pie crust and a caramel swirl for a unique yet familiar flavor experience. The Crumbs Ice Cream line features popular Crumbs Cupcake flavors, including Apple Cobbler. And The Pie People LLC, loves both apple and banana. The company offers Banana Cream and Caramel Apple Crumble varieties of its JC’s Pie Pops. Happy spring! Have a lovely Easter weekend! 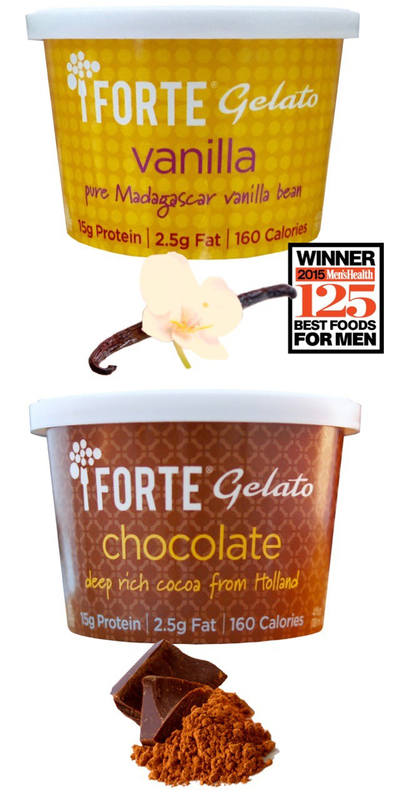 Hope to see you at the Ice Cream Technology conference to talk about caramel’s new best friends. 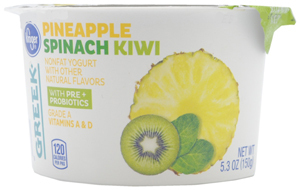 Colorful Dairy Foods Innovations: It’s a Jungle Out There! I knew this product would get your attention! It’s real and it’s debuting this coming week at Natural Products Expo West in Anaheim. I hope to see many of you there. 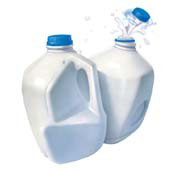 Goats and camels watch out…now gorillas want part of the “other mammal” milk. 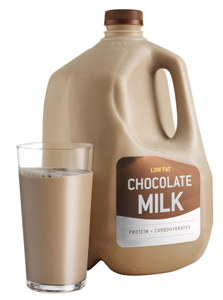 That’s right, eco-friendly Gorilla Milk is nutritionally dense milk from western lowland gorillas. 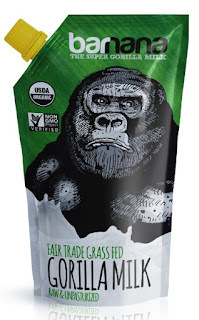 Marketed by Santa Monica, CA-based, Barnana, a pioneer in the healthy snack category, most notably those based on bananas—the Gorilla’s meal of choice—new Gorilla Milk is described as an alternative to cows milk that is more genetically similar to human milk. The Fair Trade, Non-GMO Project Verified, organic, grass-fed milk from western lowland gorillas is also unpasteurized and raw. (I thought the two terms meant the same thing!) It comes in a pouch package, and though not confirmed, I am guessing it is refrigerated. “After spending time with western lowland gorillas in Africa, seeing their wild habitat being destroyed and after having the privilege to milk one myself, I am excited to bring mother gorillas’ milk to market for human consumption and save the lives of gorillas and their wild habitat,” says Caue Suplicy, Barnana CEO. Sales of Gorilla Milk will directly benefit efforts to save and repopulate the wild habitat of the gorilla. How do you milk a gorilla? Find out on March 12th by signing up HERE. Now that I have your attention, here’s the deal. 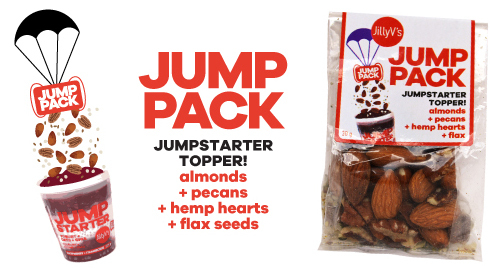 This product, as well as thousands of others described using similar “all-natural, ecofriendly” jargon will be showcased at Expo West, which promises to be the largest one to date. The natural products industry continues to grow year after year, as consumer demand for such products intensifies. 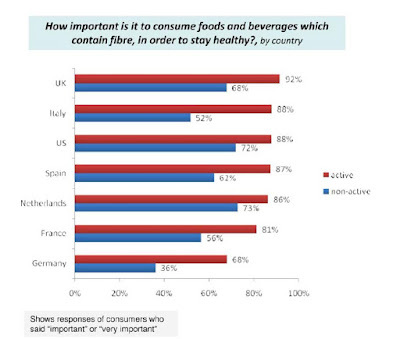 Among the contributing factors to Big Food’s current dilemma is consumers’ increasing demand for purity in their foods and beverages. Consumers are avoiding adulterated elements and looking for natural and fresh foods and beverages at grocery stores, and avoiding the processed foods on which many major food companies base their business. “The bottom line is that major food companies and retailers are faced with meeting changing consumer needs with processes and infrastructure that were built for the mass-produced foods consumers craved a decade ago,” says David Portalatin, vice president-food industry analyst at NPD. “The U.S. consumer has changed,” writes my Food Business News colleague Keith Nunes in an article with this title. He references a report published by the consultancy Deloitte Consulting L.L.P., which is based on a study conducted with the Food Marketing Institute and the Grocery Manufacturers Association. 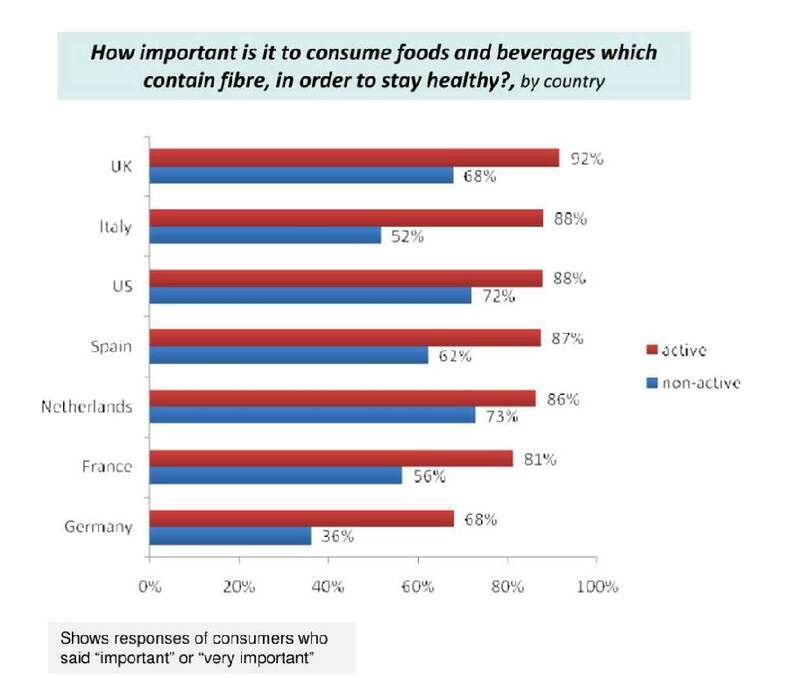 The study states that new purchasing influences, such as health and wellness, safety, social impact, experience and transparency, are motivating consumers and forcing food and beverage manufacturers and marketers to adapt. “The U.S. consumer has changed in a fundamental and impactful way, and people’s preferences are becoming even more fragmented than the food industry may have anticipated,” said Jack Ringquist, a principal with Deloitte. As a result of the emerging purchasing influences, the report predicts consumer tastes and preferences will continue to fragment, the retailer’s role in influencing purchases will continue to grow, smaller and newer companies will remain competitive—such as those exhibiting at Expo West--as they leverage new technologies to earn consumer trust, and market success will be determined by those companies that can build purpose-driven competitive advantages. The accompanying infographic shows the top-five attributes that the 5,000 U.S. consumers surveyed ranked in terms of importance. (More than one attribute could be selected.) Number-one was free of harmful elements (62%). This was followed by clear and accurate labeling (51%), clear information (47%), fewer ingredients (42%) and nutritional content (41%). To read the entire Food Business News article, link HERE. This week I wrote an article on coloring beverages for Food Business News. It will be published in a week. I found this bit of research interesting: Consumers are not evaluating every component of a product individually. Rather, they use a method of elimination whereby they scan the label for certain ingredients that they personally avoid. If they discover them among the contents, the product is returned to shelf. 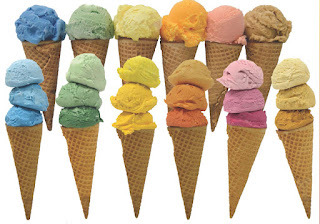 For many, artificial color is the deal breaker. 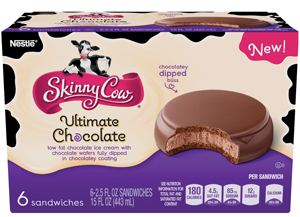 It’s no wonder every week another Big Food company announces its commitment to eliminate artificial colors from product formulations. But converting from artificial to natural colors comes with challenges. If you are in the ice cream business, plan to attend the International Dairy Foods Association’s Ice Cream Technology Conference this April 12 to 13 in Bonita Springs, FL. You will be able to hear Jody Renner-Nantz, senior application scientist at DDW-The Color House speak about new technologies for more stable colorants and the various hurdles to consider when selecting colorful ingredients. For more information on the conference, link HERE.